Berklee alumni in the music industry often note that their mastery of Pro Tools has opened doors for them. 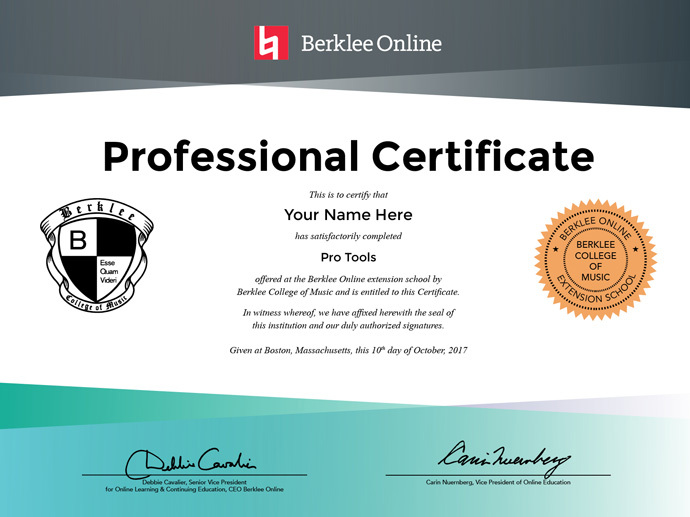 Avid’s Pro Tools is the industry-standard audio production platform, and Berklee Online is the exclusive provider of Avid’s Pro Tools certificate curriculum. Learn the basics and advanced pro tips of harnessing the powerful capabilities of this software to set up your studio and excel in audio editing, mixing, and mastering. As you do, Berklee’s world-class faculty will push you to develop your critical listening skills in a way that is transferable to any digital audio workstation (DAW).